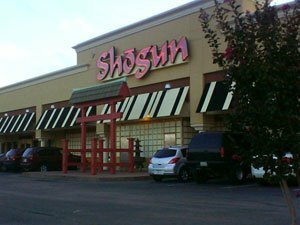 Shogun Steak House of Japan in Tulsa showcases the traditional hibachi cooking method. 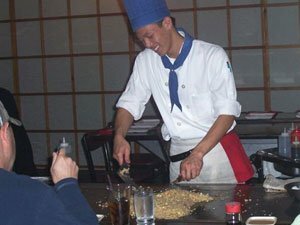 Each guest is shown to a table that can seat multiple groups and served a bowl of clear Japanese soup and a salad complete with delicious ginger dressing. The chef will then come to the table, take your order and begin to entertain. 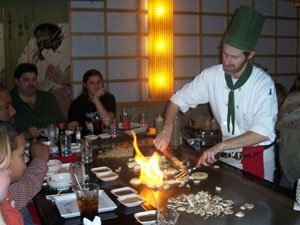 Each chef has been specially trained for years and is sure to provide a night to remember. 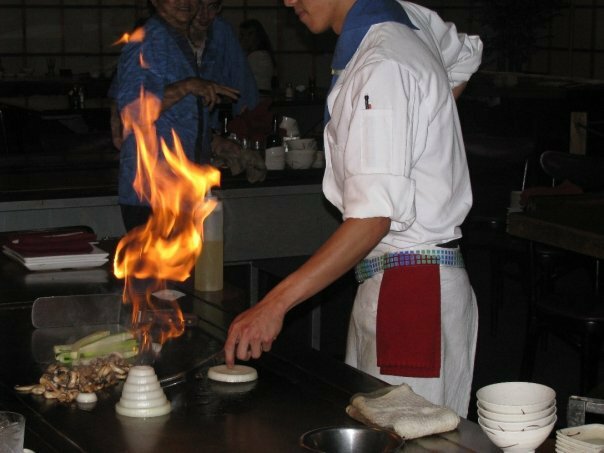 Each meal comes with a complimentary order of hibachi shrimp. For show, the chefs will sometimes flip the shrimp to an unsuspecting diner and watch them try to catch it. For the main entree, guests can choose between chicken, scallops, steak, shrimp, fish or vegetables. Each meal comes with fresh zucchini, mushrooms, sliced onions, bean sprouts and steamed or fried rice. Enjoy the professionally prepared meal with a cup of Japanese tea and finish the meal with a scoop of refreshing sherbet.